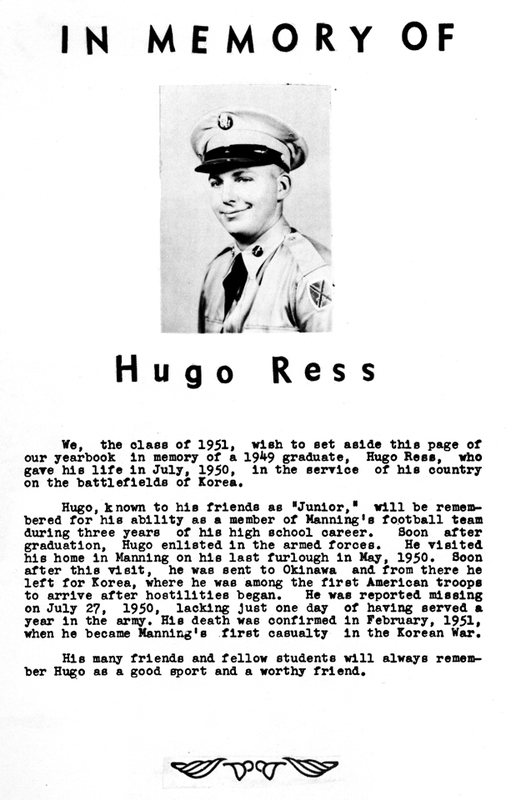 I finished adding more pictures and information for some of the Veterans below. Please take a close look and read about the requests if you are one of the relatives. I have a lot of dead-ends and missing information for many of these Veterans who gave their lives in the service of our country. 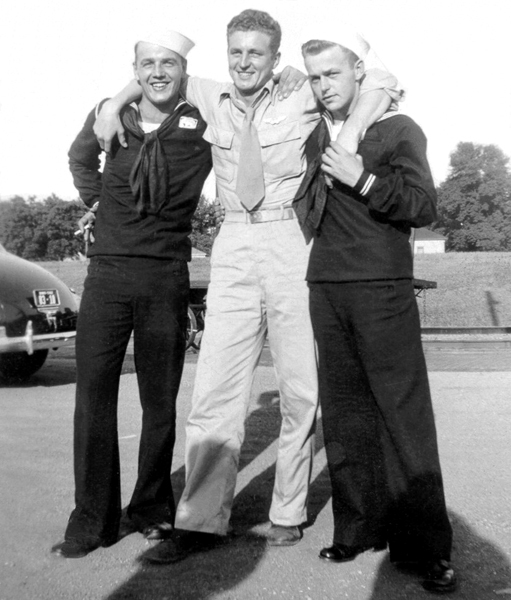 For a number of these Veterans I have no other family connected pictures or contacts which leaves me at a standstill. If family members don't come forward - what I have posted here is all that will be in the history book about those particular Veterans, which is not much. I know it will take you time to go through this latest feature but I sure hope you will and if you are a relative of one of these Veterans - won't you please take some time to help me out with any pictures and information you may have? Even if you have nothing please e-mail me. I may have questions you can answer which will save me a lot of time doing research elsewhere. 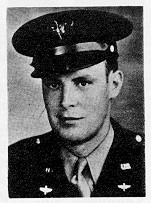 By adding more family and other connected pictures and information to the Veterans below who paid the ultimate price...maybe it will help someone realize they are related to a Veteran which will hopefully encourage them to dig in their old pictures to see if they might have something I'm looking for. 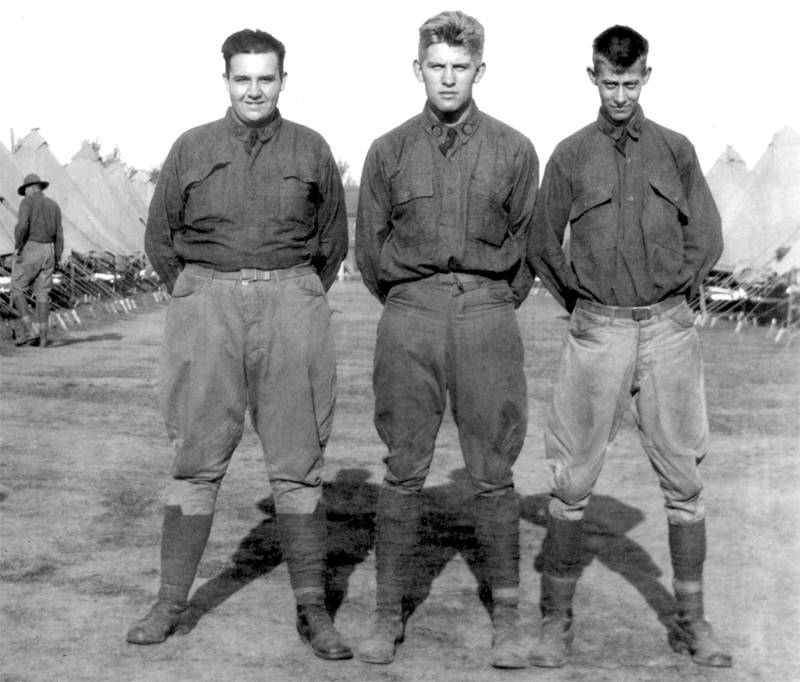 The main idea in featuring these Veterans is to hopefully reach out to someone who will have pictures and information about them. When something is lost/destroyed or a loved one has passed away, that is when we realize how important they were and how much we'll miss them. If you listened to some of the interviews of the survivors of the Moore, Oklahoma, tornado the first thing that was brought up, after they said how fortunate they and their family members were to have survived the storm, was if they were able to find and save their PICTURES...even with most of the communications down they did not say how they missed their facebook/twitter accounts...it was the pictures that they probably seldom looked at but were a major concern in saving. Formerly known as Decoration Day - Memorial Day originated after the American Civil War to commemorate the Union and Confederate soldiers who died in that war. 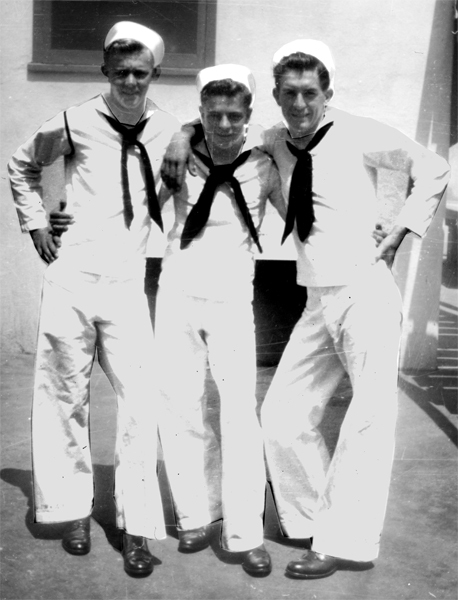 By the 20th century, Memorial Day had been extended to honor all Americans who had died while in the military service. 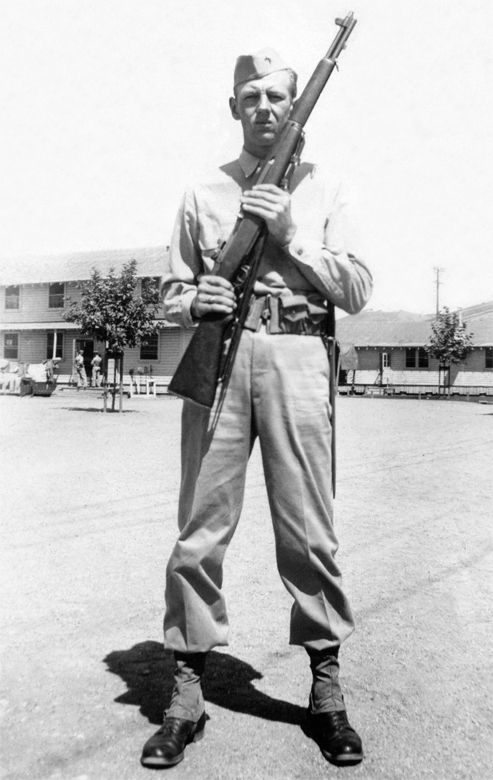 For many years I have been asking for pictures and information about the 1000+ Manning Veterans to use in a future Manning Veterans' history book. Sadly, not even a lot of family members are coming forward with that information about the deceased Veterans in their families. Many people proudly attend the Memorial Day and Veterans' Day events...just 2 days out of the year this is done. While these 2 National Holidays are very important...we need to do a much better job in preserving the memory and in honoring those who have served our country. The Veterans who need to be honored at a higher level are those who died while serving their country. One way to do that is to put their faces on the cover of the Manning Veterans' history book. Unfortunately there are quite a few of those Veterans I have no picture or only a copy made from the 1981 Centennial book or a newspaper clipping. 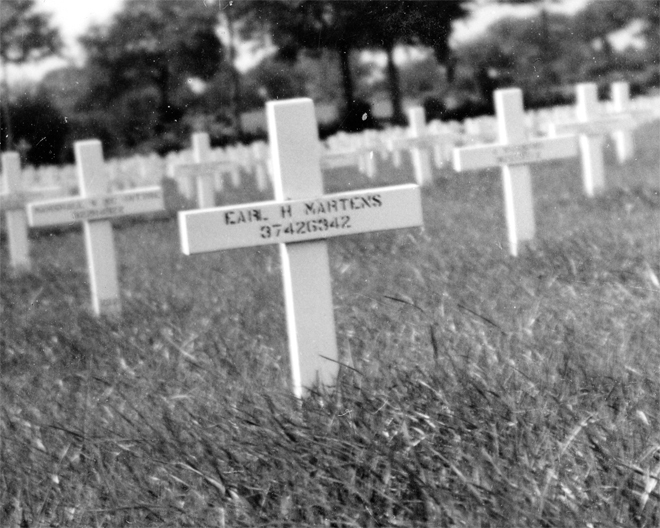 The only way to get a good quality image of these Veterans is for friends and relatives to look for original photos of these and other Veterans and bring them forward so I can scan them. 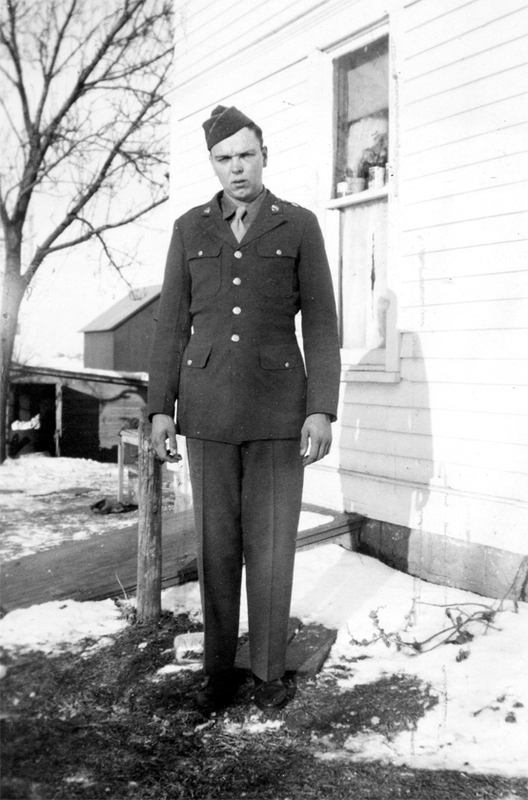 Below you'll see various images of most of the Veterans who paid the ultimate price...Most of these scans I have did NOT come from family members. If it wasn't for friends and neighbors who had these pictures and came forward I would not have as many as I do. So if you are a relative or maybe someone whose parents or grandparents were friends of any of these Veterans please take a look in that old scrapbook or box of pictures...you may have exactly what I'm looking for. 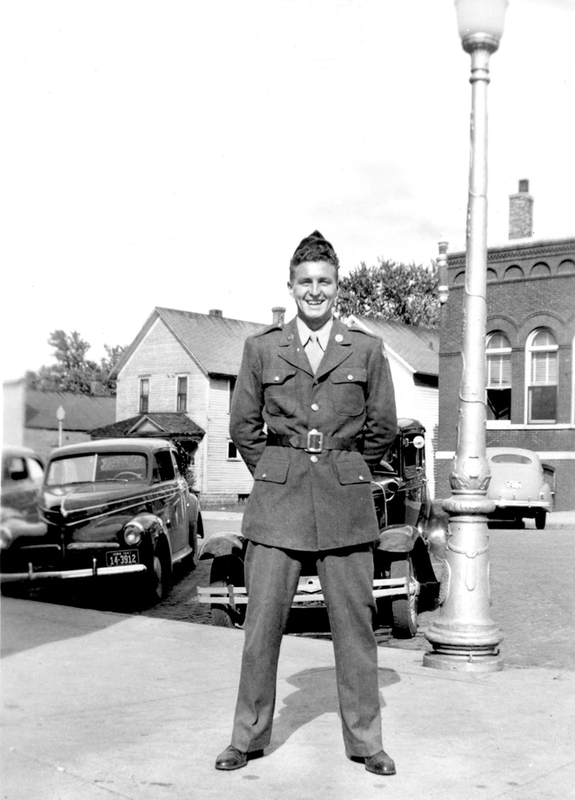 Even if I have a good quality image for some of these Veterans you may have other poses and images of these Veterans...I'd like to scan them too. PLEASE take some time to go through this list of names/pix below and see if you can help out with this small part of the Veterans' book project. I'm showing a blown up view of what a scan made from text books look like - with all the dot patterns. fortunately Russ & Linda (Meggers) Frank had this photo and let me scan it. A scan I made from Orval Fink's collection...years ago he took a picture of the large portrait image made of Emil...The original image was recently dug out of the Legion attic by Gary Knueven and is now on display in the Legion hall. 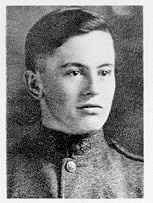 he returned to the front and was KIA August 2, 1918. Marian Knueven's mother was Catharina, a sister to Fred Passick. 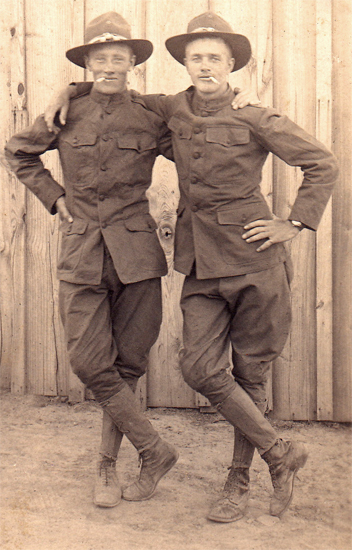 Marian's brothers were Lyle & Norman Arp. Hilda Hansen 1892 to ? 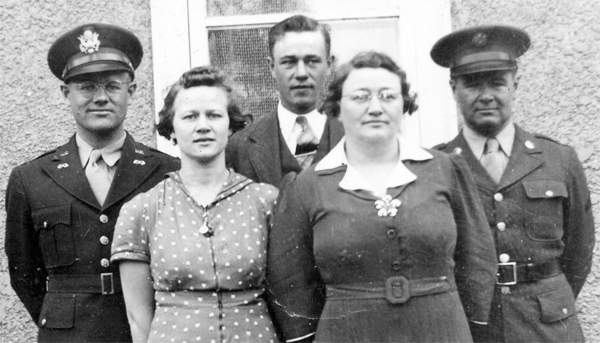 Front: John, Joan Mohr, Ella (Mordhorst) John and Ella Rowedder spent their entire lives in the Manning area. 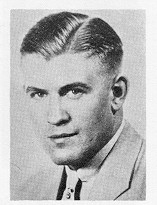 John Rowedder was born in Hayes Township, Crawford County in 1894. 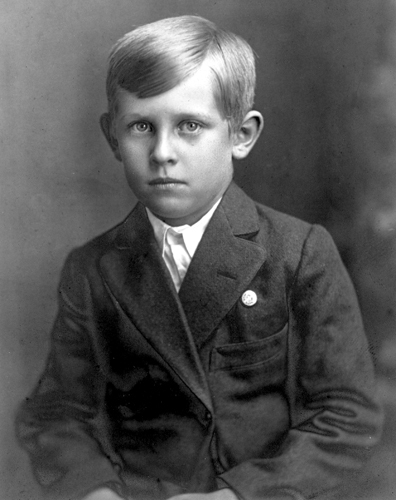 He was one of twelve children born to William and Anna (Kall) Rowedder. 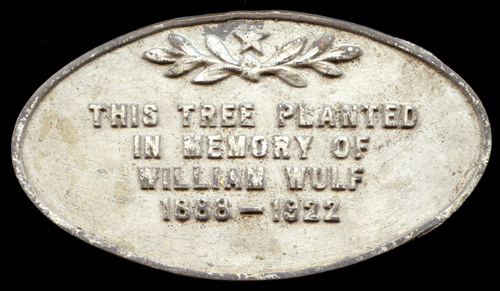 William and Anna were both born in Germany in the Hamburg and Schleswig area and came to the United States at a young age. 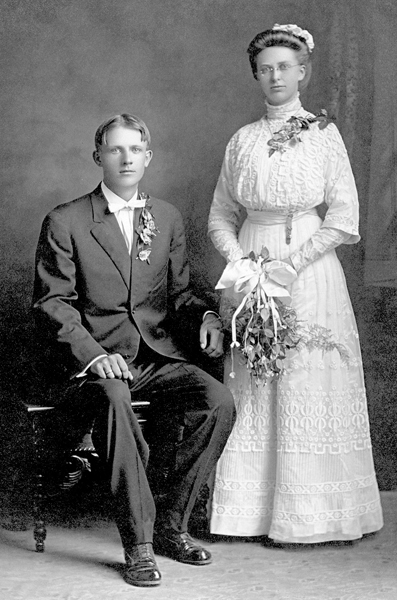 John received his education in rural schools in the area and married Ella Mordhorst, daughter of Henry and Alvina Jipp Mordhorst on December 8, 1915. Ella was born in 1895 in Muscatine County and came to Crawford County as a young girl. 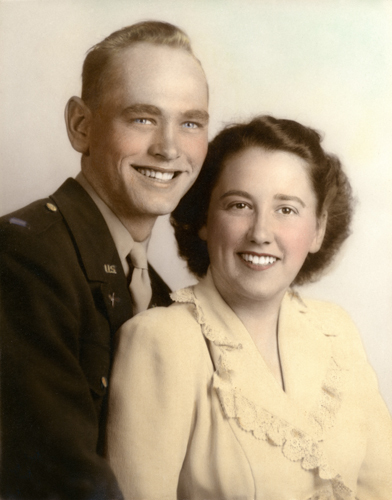 Her father was born in Schleswig Germany and her mother in Benton County, Iowa. 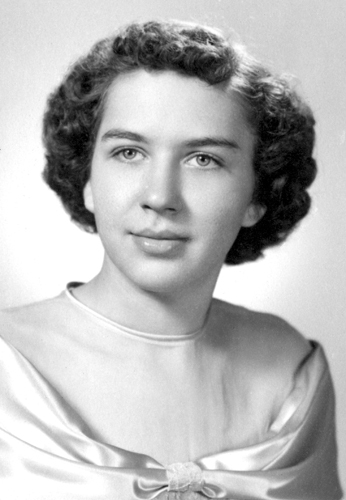 She attended rural schools in the area and worked at home before her marriage. She was one of four children including a twin sister Stella Jahn. 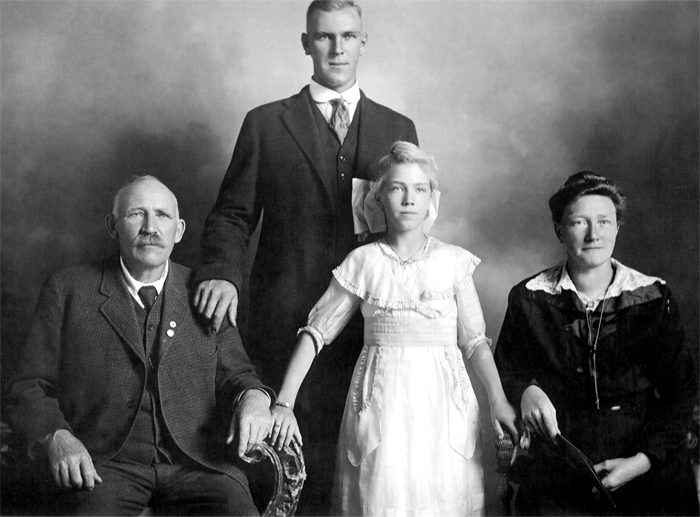 Following their marriage, John and Ella lived in Manning for a year before farming northwest of town. 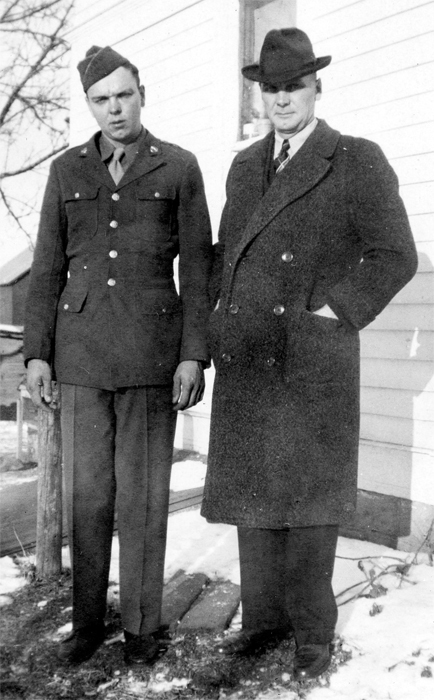 They later purchased a farm in that area and lived there until their retirement to Manning in 1953. 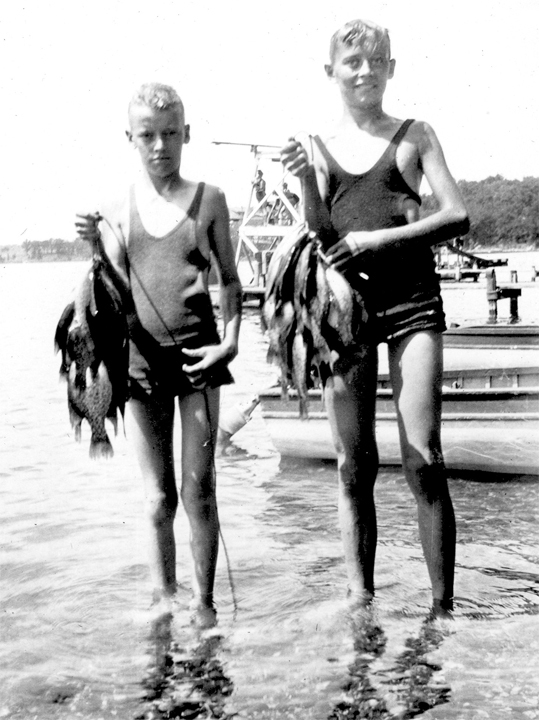 Besides farming they enjoyed fishing, playing cards, and John liked to play horseshoes. 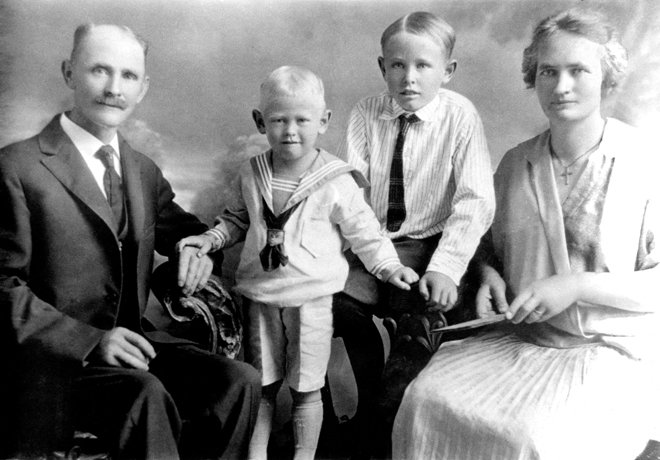 They were the parents of six children: Gilbert, born in 1916, Berdine in 1919, LeRoy in 1924, Virgil in 1929 and Joan in 1933. One son, Leonard died in infancy. 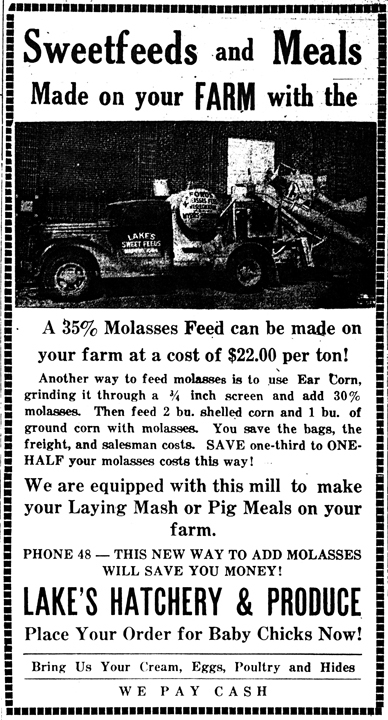 John continued to help with farming after his retirement until his sudden death in January of 1965. Ella continued living in her Manning home until shortly before her death in May of 1972. 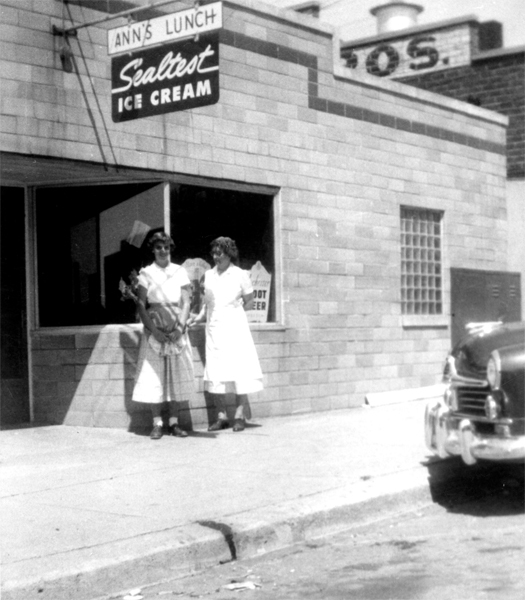 Gilbert was married to Ethel Brockmann and they had two daughters, Diane and Patsy. 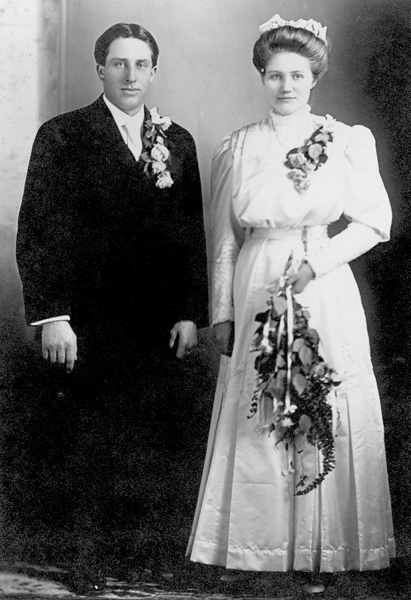 Berdine married Wilmer Ehrichs. 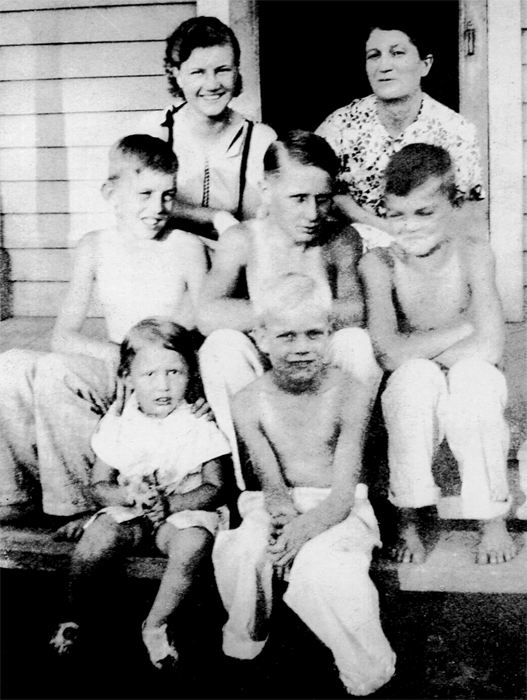 They had nine children: Janet, Judy, Barbara, Beverly died in 1947, Bonnie, Deborah died in 1954, Randy, Sandy and Tom. Berdine passed away in January 1997. 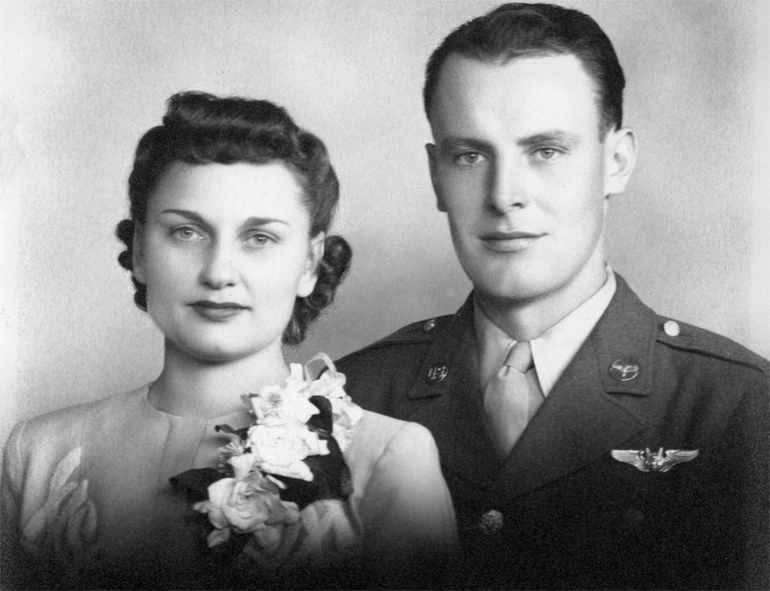 LeRoy married Winona Joachimsen and their two children are Douglas and Linda. Winona died in September 2000. 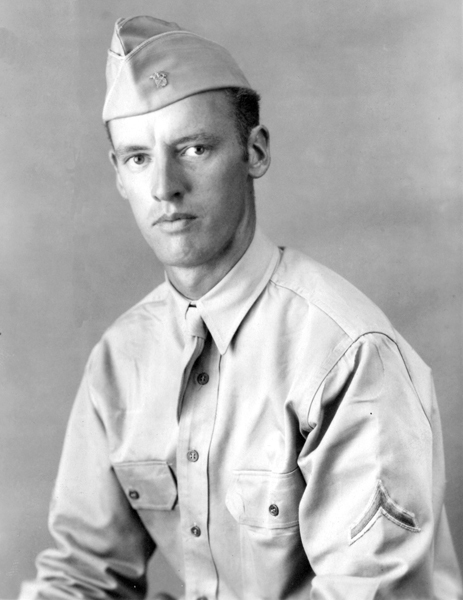 Virgil married Colene Gray and their children are Mark and Becky. 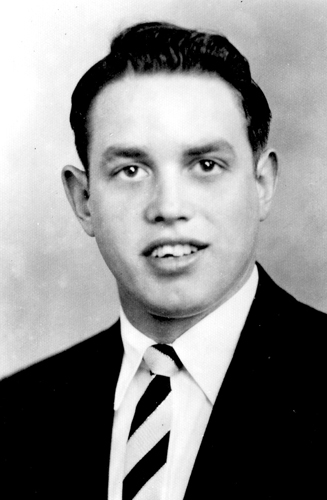 Virgil died in April of 1984. 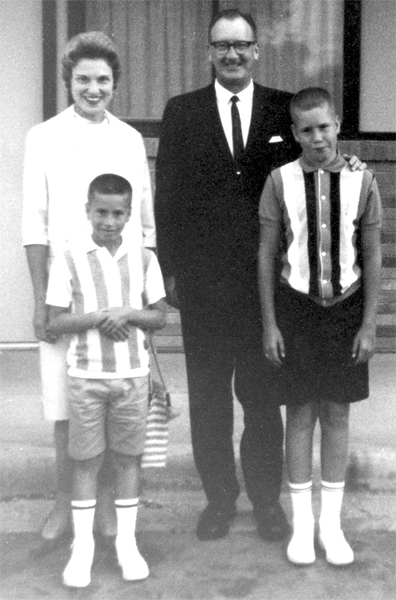 Joan married Russell Mohr and their children are James, Jay, Jeffrey, and Rhonda. 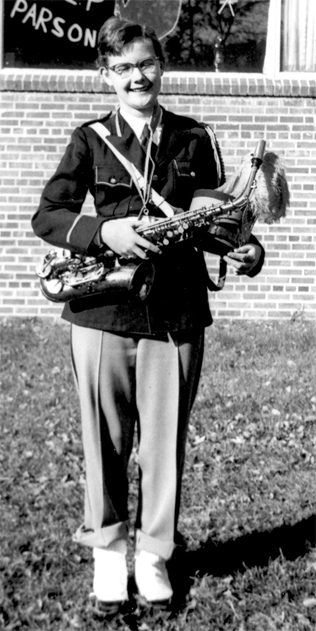 Jay died suddenly in September of 1997. 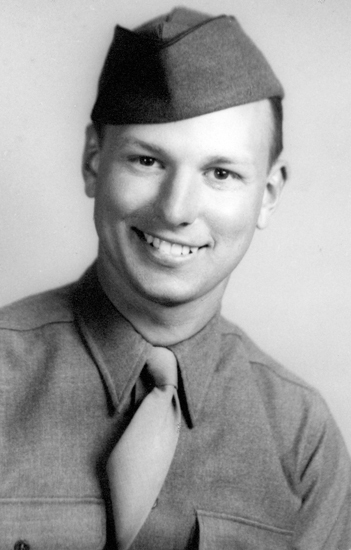 Killed in Action while serving his country. 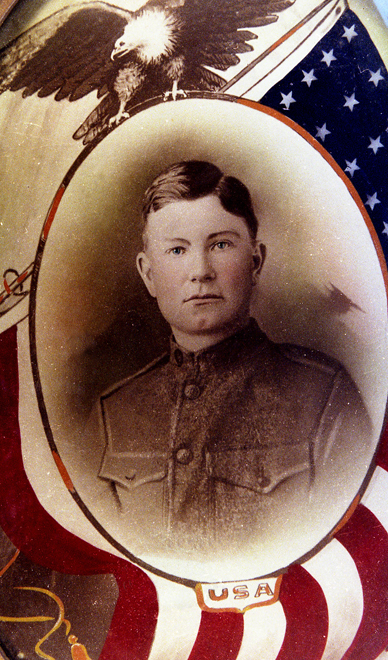 Son of Henry & Anna Schroeder - they lived in the Manning area and retired in Egan, South Dakota in 1918. 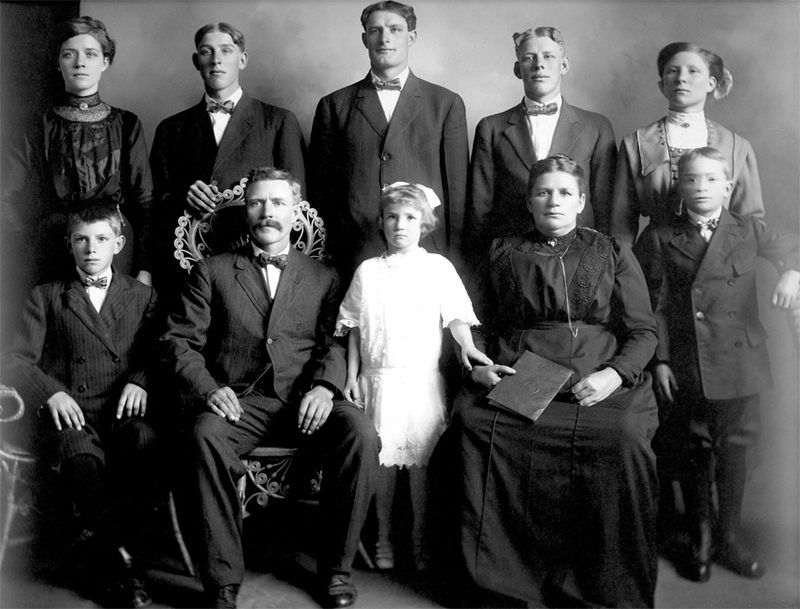 The Schroeders were the parents of nine children. 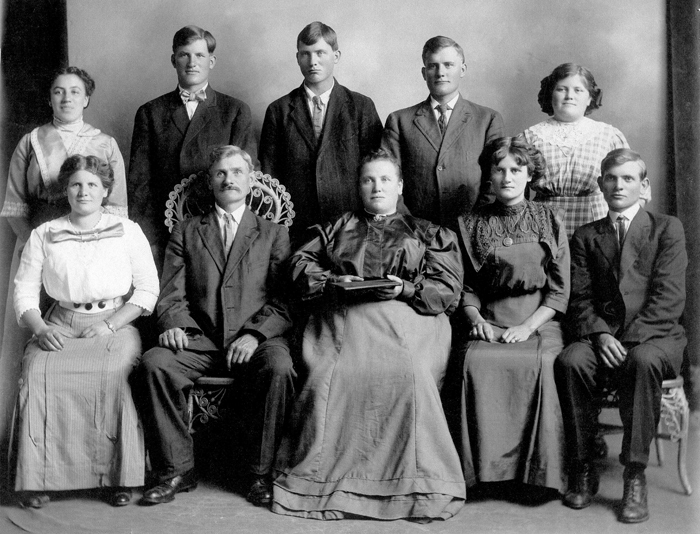 They are Herman and August of Flandreau; Louie, Henry and Mrs. Irving (Emma) Stombaugh, Egan; Mrs. John (Augusta) Vinke, Mrs. Herman (Elfreda) Jahn, and Johannes of Manning. 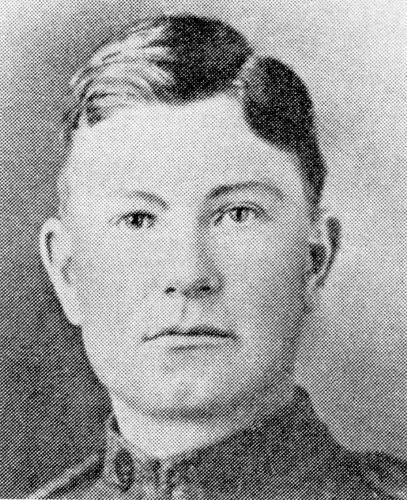 One son, Frederick, a Private in the Army, gave his life during the first World War. 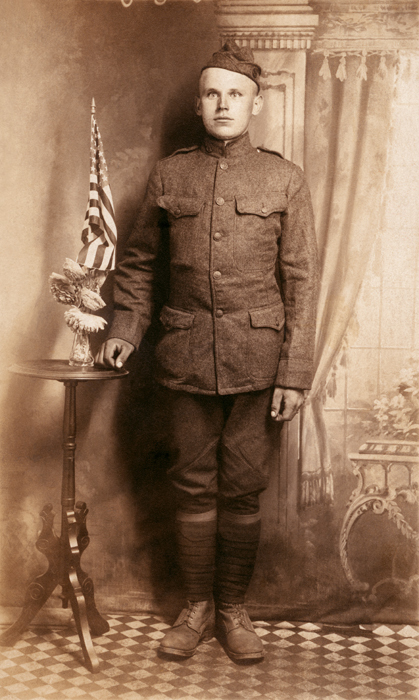 Died from the Spanish Influenza on October 21, 1918, while serving in France. 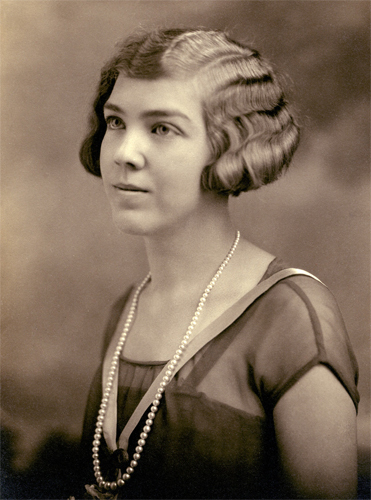 Margaret was Rozora (Kuhn) Schroeder's mother. 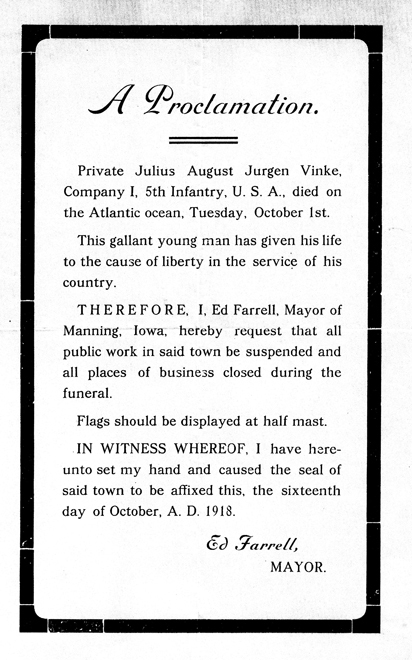 Died from the Spanish Influenza on October 8, 1918, while training at Camp Dodge, Iowa. Claus, Bernhardt, Mildred, Emma Claus Hinrich Stuhr, known as C.H. 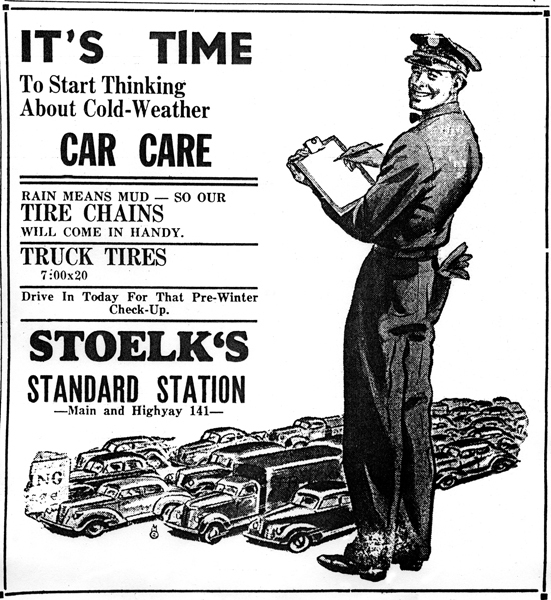 Stuhr, was born in 1859 in Luhrachau, Schleswig, Germany, and died in 1929 in Manning. 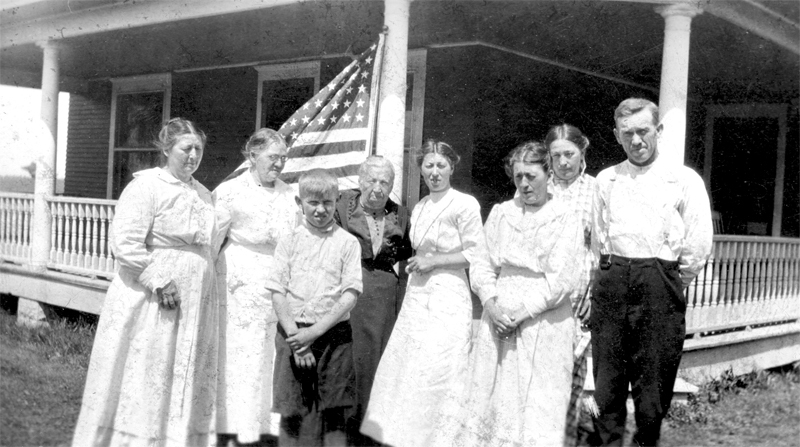 Emma Juels was born in 1872 in Schleswig, Germany, and died in 1941 in Manning. They are both buried in the Manning Cemetery. 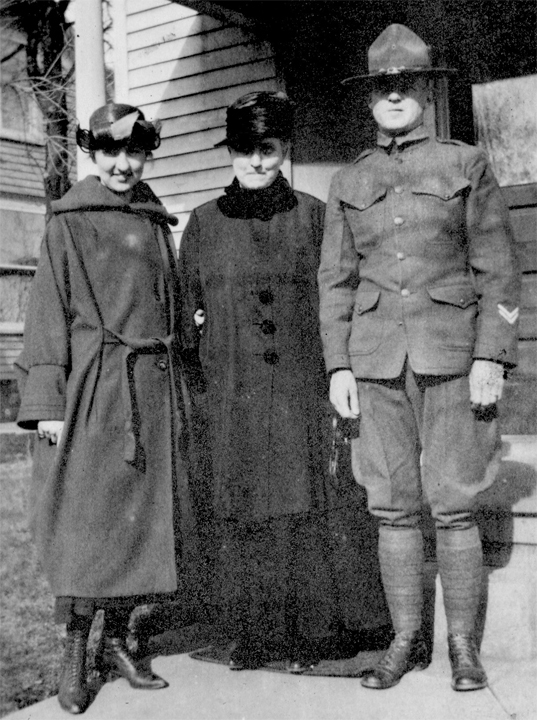 They had one son Bernhardt and an adopted daughter Mildred Stuhr. Mildred's birth mother was Mary (Petersen) Klue. 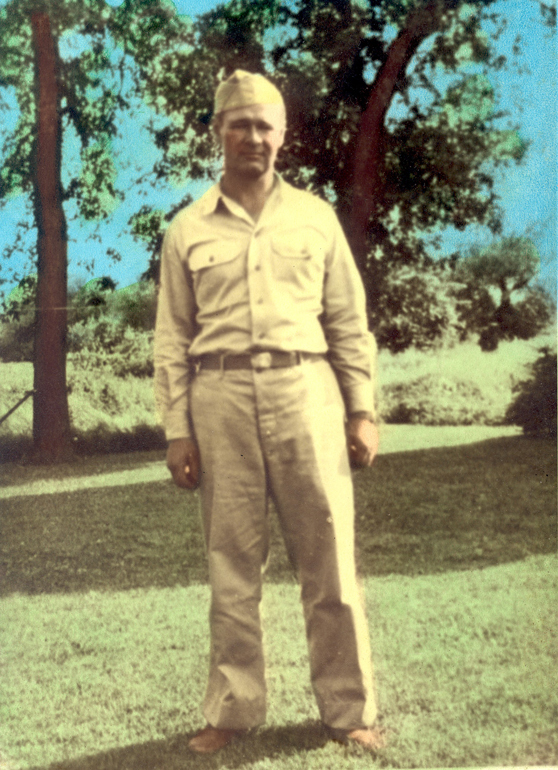 Claus came to America and first settled in Minden, Iowa, where he and his brother owned and operated Stuhr Brother's Hardware. They sold hardware, furniture, coffins, and agricultural implements. Claus later returned to Germany to bring Emma Juels (his wife to be), her brother Gustav, and his wife to be, Maria Bruhn, to America. 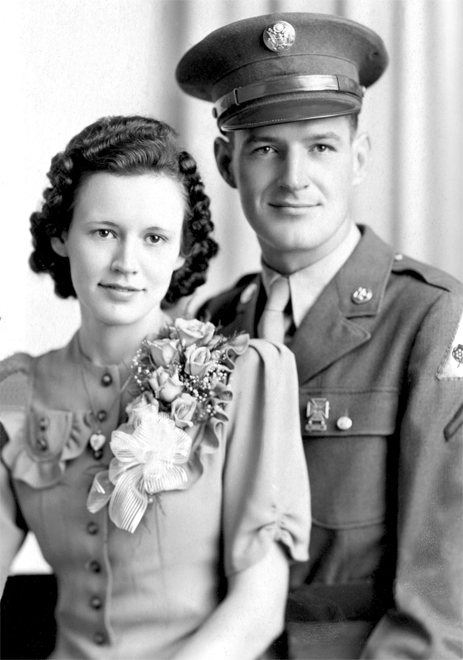 They were married in Minden and settled there. 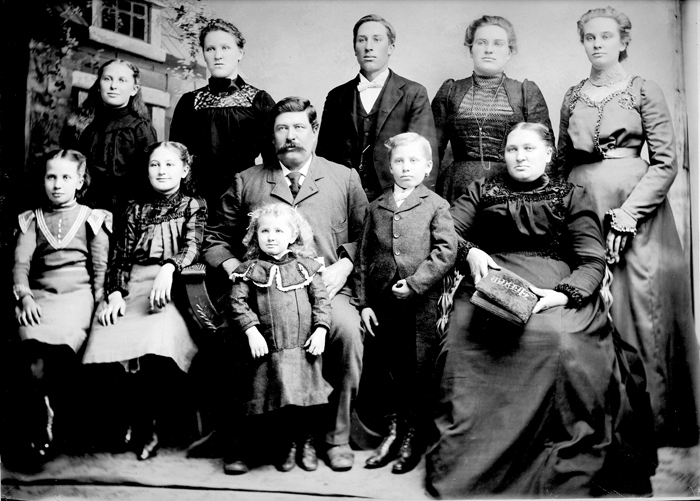 Gus and Maria later moved to Avoca, Iowa, and raised ten children. 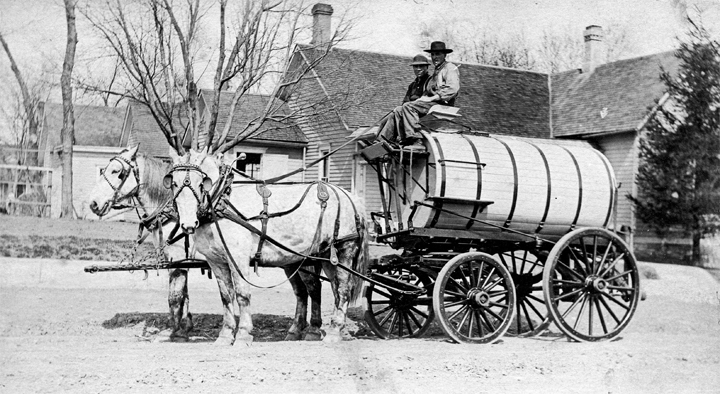 Claus and Emma moved to the Manning area and purchased a farm three miles north and one and a half miles east of Manning. Vernon Rohe purchased this farm from Mildred (Stuhr) Lyden in 1951. 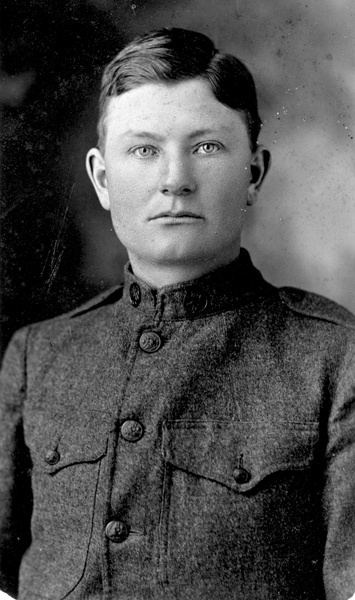 Bernhardt was born in 1895 at Minden, Iowa. 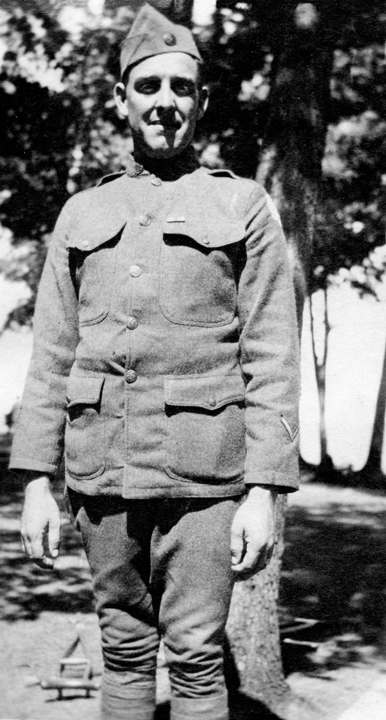 He died in 1918 from the Spanish Influenza Epidemic while at Camp Dodge, Iowa, where he had served in the Army for one month. 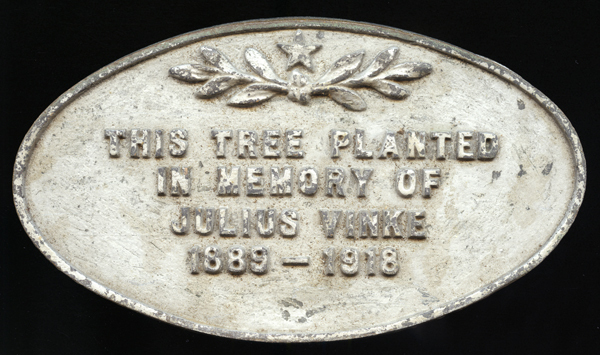 He is buried in the Manning Cemetery. 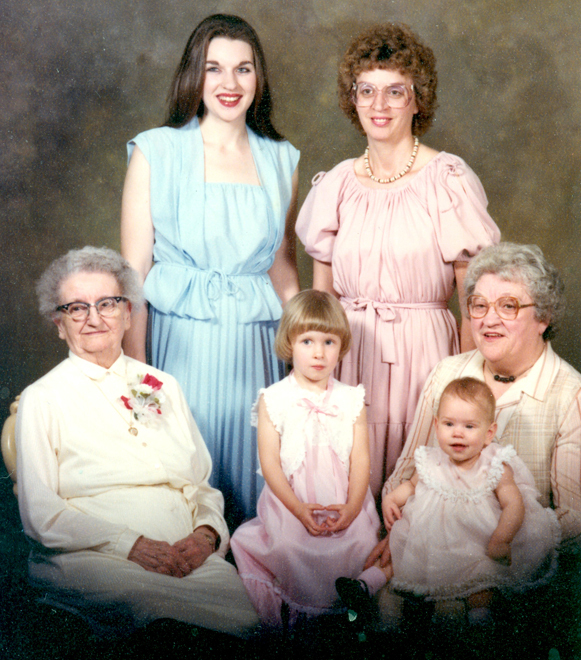 Mildred was born in 1905 in Council Bluffs, Iowa. She died in 1991 and is buried in the Manning Cemetery. 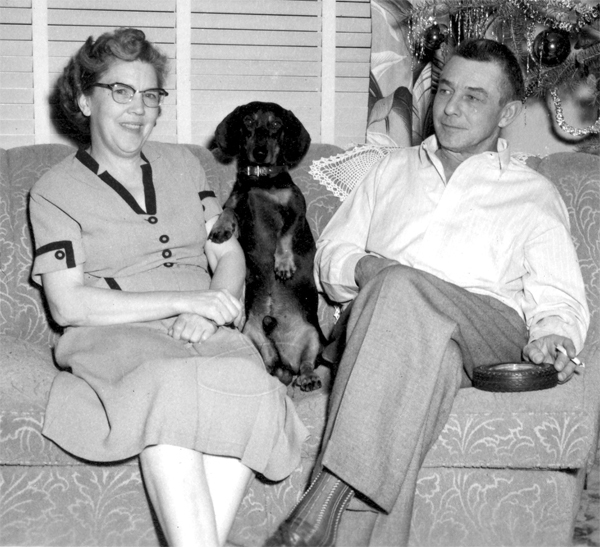 Claus and Emma were Mildred's great-aunt and uncle. 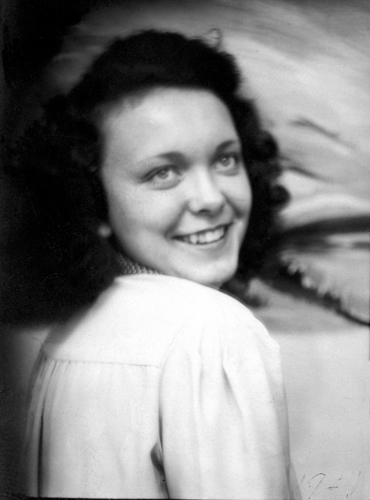 She married Vincent Lyden, Sr., son of Charles E. Lyden who was a Manning photographer. 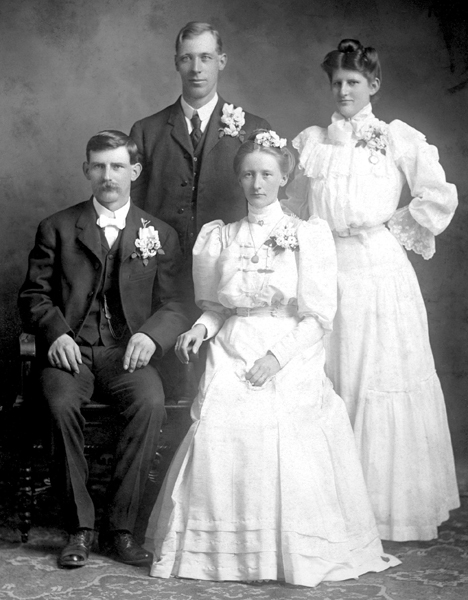 Mildred and Vincent had three children. 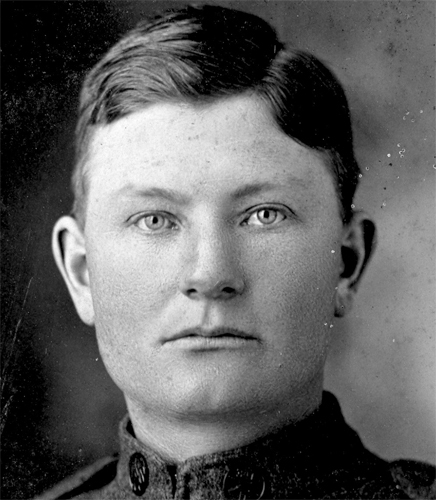 Vincent, Jr. lives in Turner, Oregon. His wife, Lillian, is deceased. 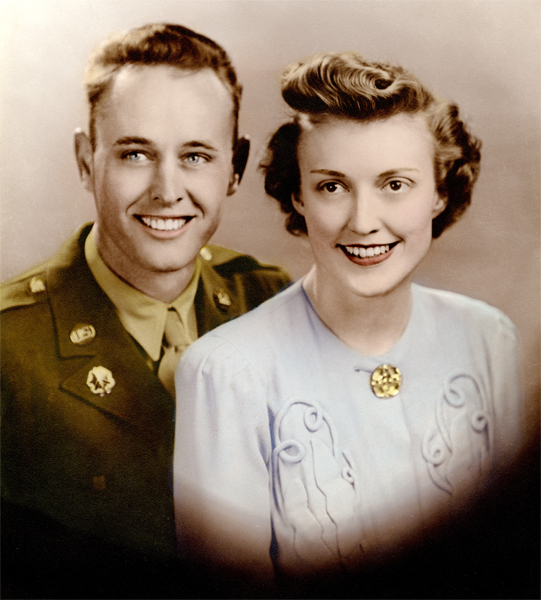 Marianne (deceased) married Harold Addington of Concordia, Missouri. They had one adopted son Dan who lives in Chicago, Illinois. 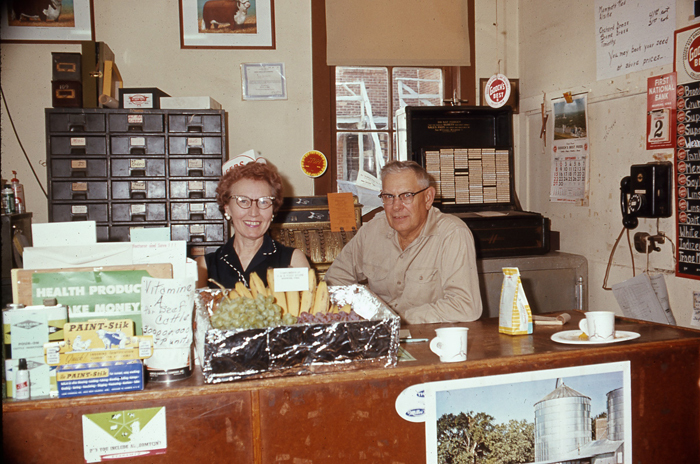 Jeanne and her husband Ronald Farley live in Aplington, Iowa. They have three children, Sherie, Ronald Jr., and Diane. 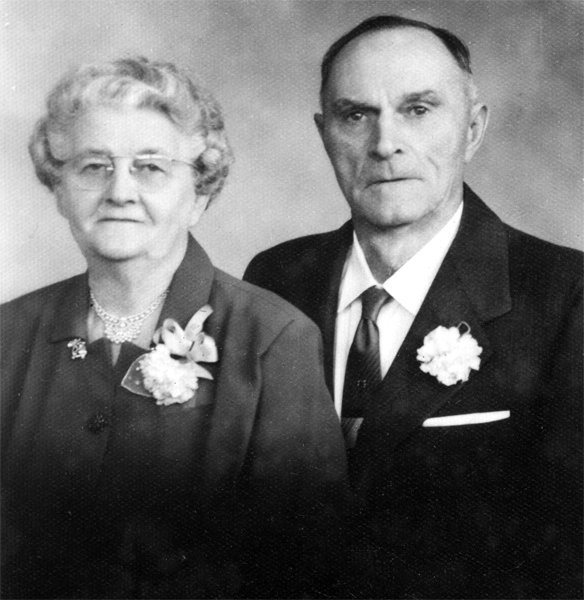 Mildred and Vincent Lyden owned an acreage where the present Lutheran church is located. 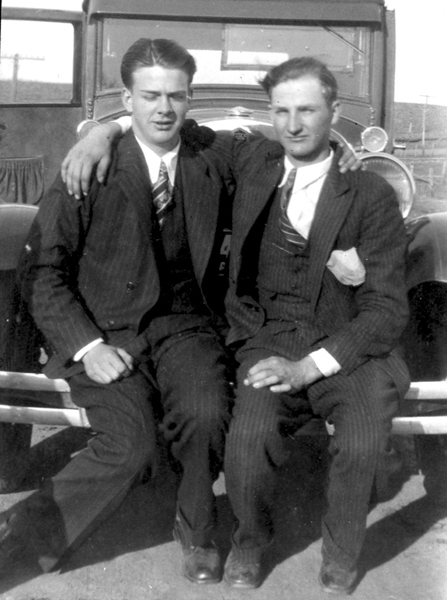 During their younger years they had a large truck gardening business and sold their produce to local stores and the public. 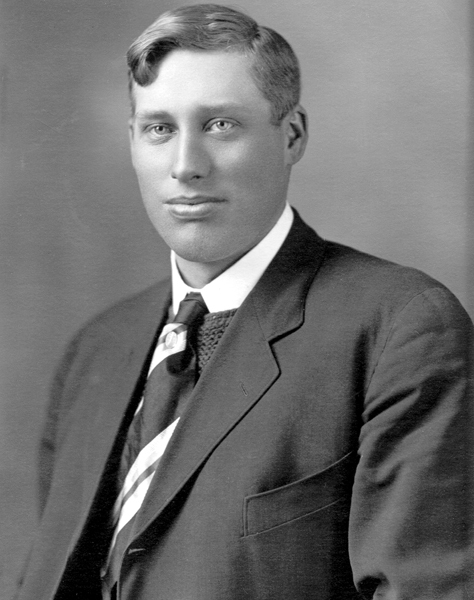 Vincent worked as a lineman for the Manning Electric Company. Henry Juels came to America at the age of seventy after his wife died to live with his daughter Emma. 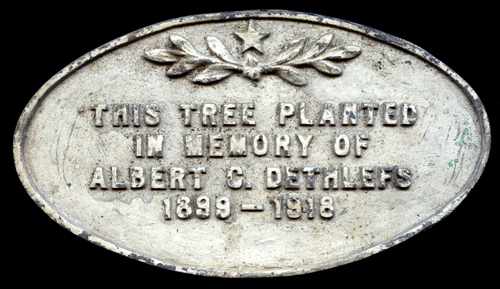 Albert Juels came to America in 1902. He was a nephew of Emma. 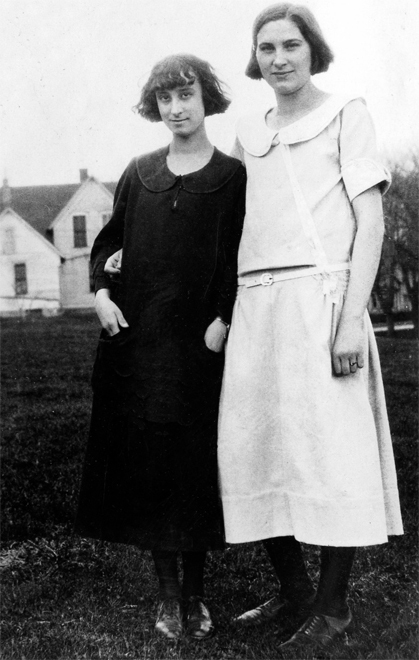 Albert married Minnie Petersen who was born in South Dakota. Minnie was a niece of Claus Stuhr and a sister to Mildred Stuhr's birth-mother Mary (Petersen) Klue. 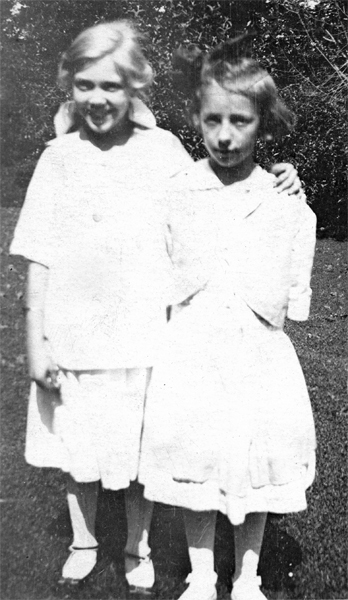 Albert and Minnie had six children: Hazel, Vera, Arnold, Harold, (all deceased), and Edna who lives in California. 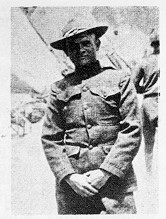 Became ill from the measles & mumps on the ship half way to Europe and died October 1, 1918. 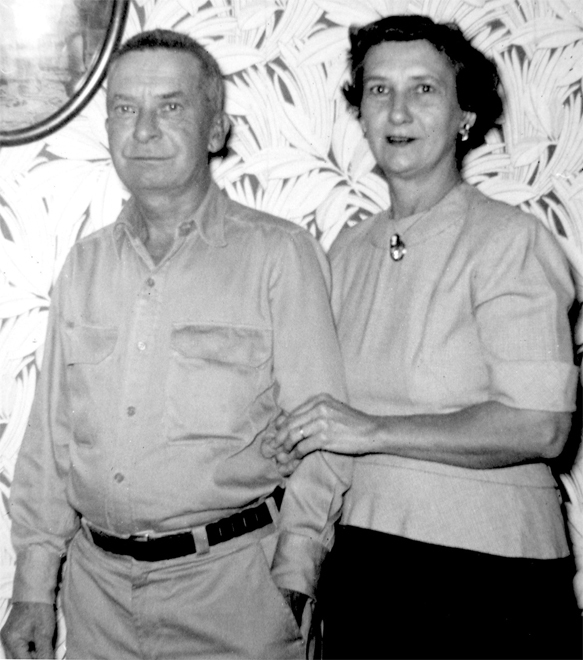 Friedrich & Augusta Friedrichsen are the grandparents of the Hacker boys and Arlene & Ray Christensen. 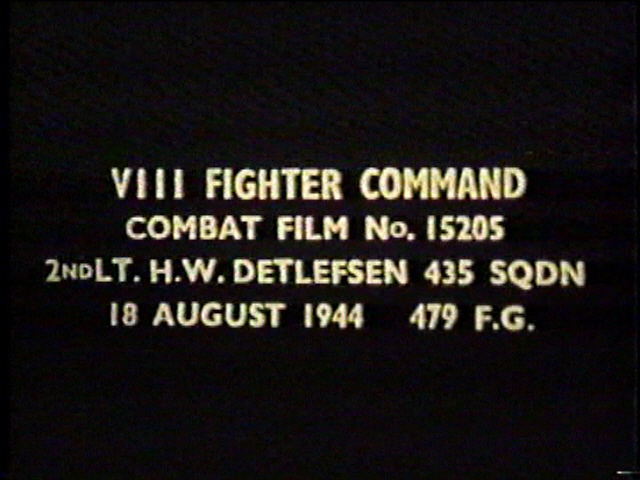 An amazing story behind a film that was preserved from several of Heinz's missions will be featured in the Veterans' book. 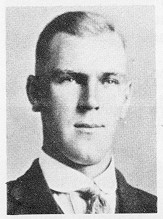 Elnor taught at Manning schools. Fortunately Max Detlefsen and his son, John, have a deep respect for the preservation of history and genealogy and have a lot of information and history about Heinz...plus they have always been willing to share their things with me to scan. 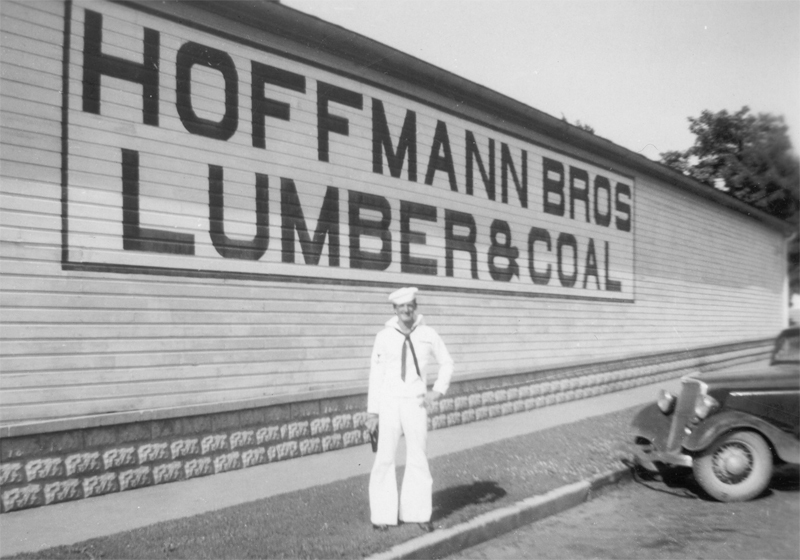 The Hoffmann family was not only prominent in Manning's history but many of them also served our country. 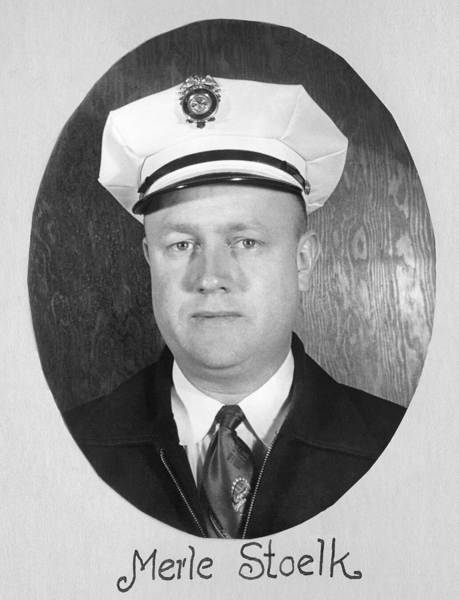 Dean Hoffmann has been the family member to proudly carry on the family heritage and also preserving Manning's history. I only have 1 Keat obituary and there is no Keat family history in the Centennial books so I don't know how these Keats below are connected to Harry. Hopefully someone from these other Keat families will come forward and be able to help with pictures and information on Harry's service. Leola Keat Below is the only information I have about Leola's military service...hopefully a relative will come forward to help with her information too. 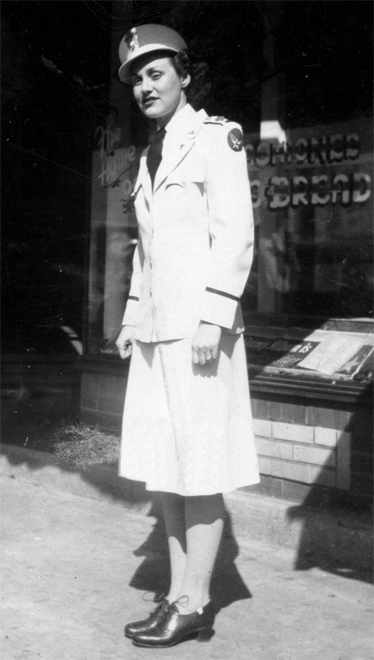 Leola Keat, 20, seaman second class, daughter of Mr. and Mrs. J. W. Keat, Manning, has completed her basic training and indoctrination course at the Naval Training school for WAVES, the Bronx, N. Y., and is proceeding to Naval Training School (yeoman), A & M college, Stillwater, Oklahoma, for further instruction. 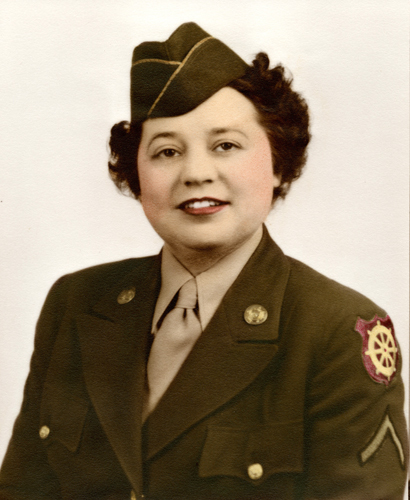 Before she entered the Naval service, Seaman Keat was employed as stenographer and bookkeeper with the Daly General Agency, Inc., Denver, Colorado. 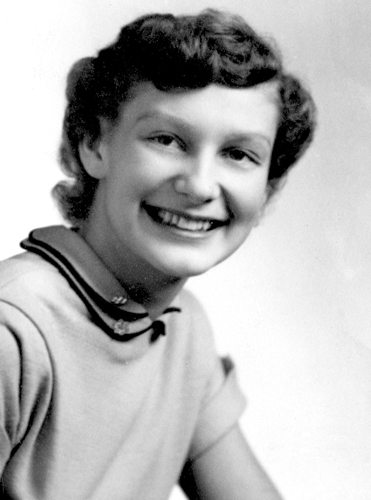 She is a 1941 graduate of Manning high school, and graduate of a business school in Omaha. George Keat was born September 13, 1909, and died September 30, 1970. He married Lenore Anita Lamp (1908-1998). They had three children. I found this picture and information on a web page. I contacted the web master but he did not know where he got the information from. 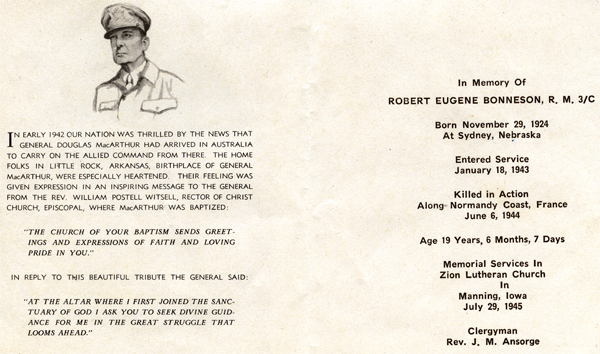 Fortunately I have Robert's mother's obituary to help fill in some Lake connections - hopefully a family member will come forward with more pictures and information about Robert to use in the Manning Veterans' history book. Funeral services for Pauline Anna Dorothea take were held Wednesday, September 9, 1981, at 11:00 a.m. at Zion Lutheran Church in Manning with Pastor Edward F. Heinicke officiating. Organist was Dorothy Kusel. Interment was in Manning Cemetery with Terry Lake, Randall Lake, Nathan Lake, Richard Tibben, Vernon Ehlers and Paul Ehlers as casketbearers. The Ohde Funeral Home in Manning was in charge of arrangements. 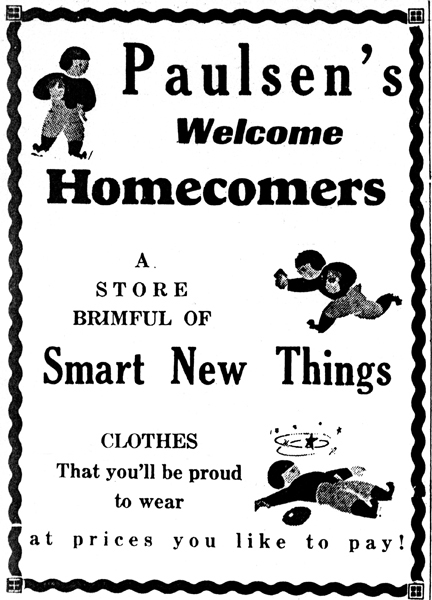 Pauline, daughter of Gustav and Anna (Fischer) Ress, was born September, 25, 1897, in Lincoln Township, Audubon County, Iowa. She was baptized on October 10, 1897 at Trinity Lutheran Church in Lincoln Township, and on May 7, 1911, she was confirmed in the Lutheran faith at that church. 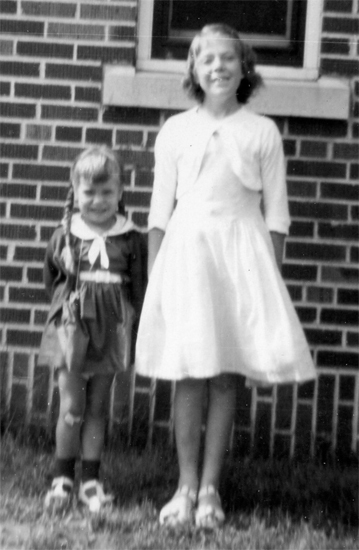 She attended the German elementary school at Trinity Lutheran Church. 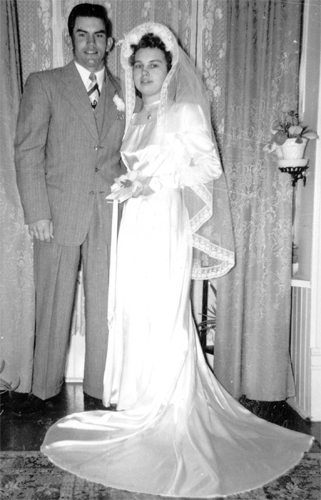 On December 5, 1923, she was united in marriage with Eustace Lee Lake at the Lutheran Church in Man�ning. Pauline and Eustace made their home in Man�ning, where Eustace was in the hatchery and feed business, and later owned and operated Manning Heating and Sheet Metal. Eustace died on August 5, 1967, and a year later Pauline moved to the Manning Plaza. She passed away at the Plaza on Sunday, September 6, 1981, at the age of 83 years, 11 months and 11 days. 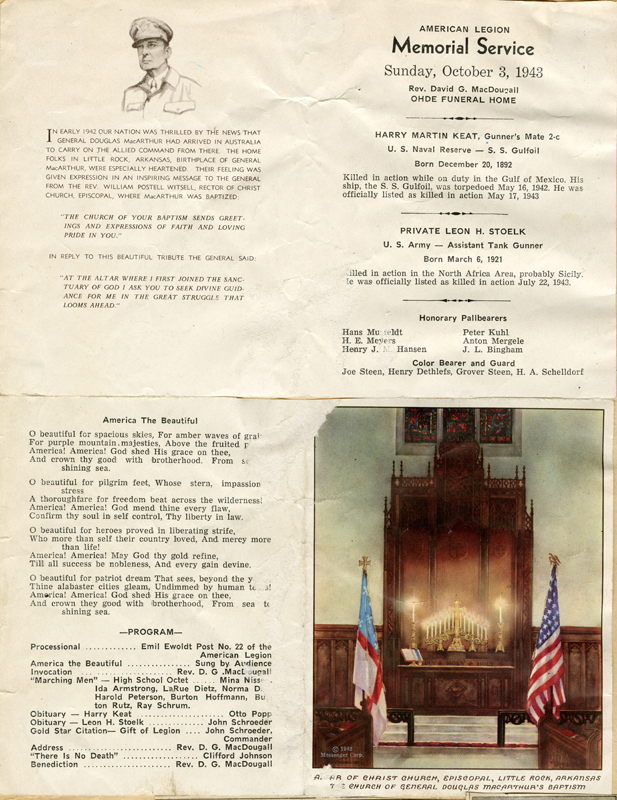 In addition to her hus�band, Pauline was preceded in death by two children, Carl Leroy Lake in 1934, and Robert Lee Lake in 1945; also by a grandson, Michael Jon Lake, and one brother and one sister. She is survived by three children: Margaret Pauline, Mrs. Leroy Hansen of Bel�lingham, Washington, Dorothy Anna, Mrs. Vernon Larsen, of Audubon, Eu�stace Roger (Junior) Lake, of Story City, Iowa, and one stepson, George William Lake, of Bellingham, Wash�ington. 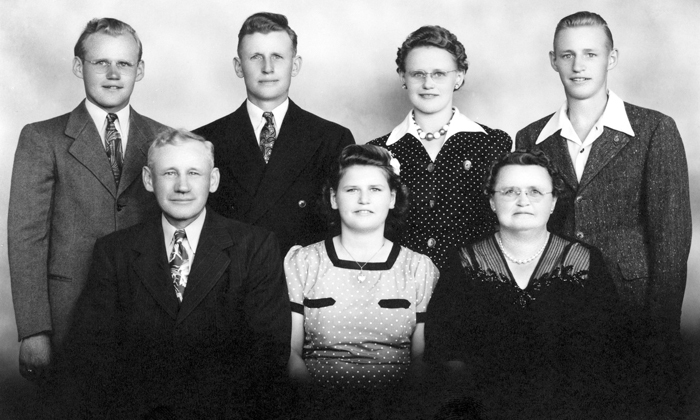 Also surviving are 8 grandchildren and 4 great grandchildren; 5 sisters and 2 brothers: Mrs. William (Ella) Asmus, Audubon, Mrs. Herman (Ida) Joachim�sen, Manning, Anna Hole�scher, Perry, Mrs. William (Edna) Hansen, Manilla, Mrs. Rockley (Norma) Wen�zel, Frazee, Minnesota, Hugo and Emil Ress of Manning; as well as nieces, nephews, cousins and other relatives and friends. 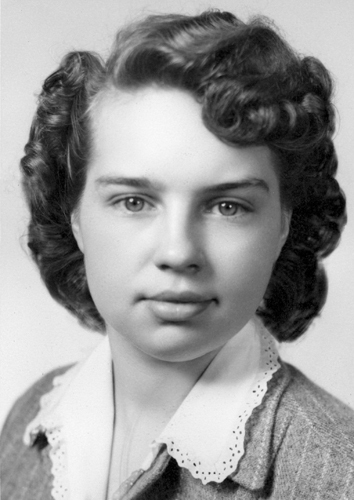 Pauline was a member of the Zion Lutheran Church in Manning and a member of the Dorcas Society. Pauline was also a Gold Star Mother. Since I have featured the Mohr family on several occasions in the past, both on my web pages and in the Monitor articles, I won't show all of the pictures I have for this family right now. I have a lot of pictures thanks to Michele (Mohr) Olney and Ardith (David) Lage. 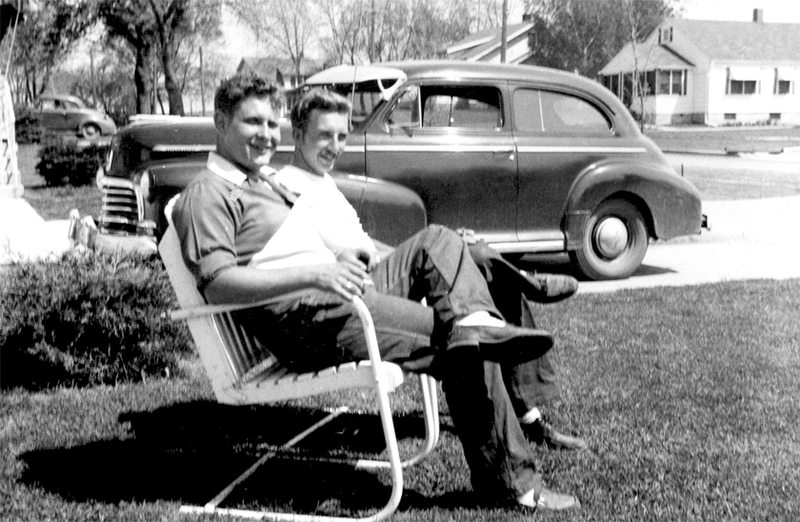 Dale Thomas Mohr, Donald Francis Mohr - in front of the Mohr home September 1946. 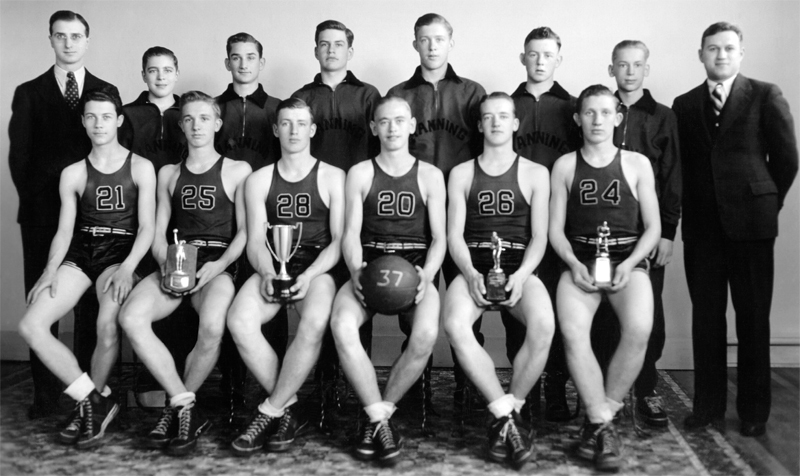 This picture came from the Jessie (Stribe) Nissen collection that Bob Nissen has. I assume these were Arnold's parents. 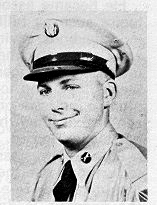 In Arnold's writeup in the Veteran section of the 1981 Manning Centennial book it only says Arnold was the "son of Mr. & Mrs. William Musfeldt of Lincoln Township"
The Musfeldt families were big back then so there may have been several William Musfeldts, and why I need more help with family connections and pictures. Unfortunately these vague histories were written that way years ago, leaving off the wife's first name, many times her maiden name...even in obituaries. This is why we need to continue to collect and preserve our history and get the "proper" facts written down and not use the vague "Mr. & Mrs." or first initials "Mr. & Mrs. W. Musfeldt" type poor historical identifications. When I find obituaries and other types of documents, or history books poorly written with these vague IDs I will try to find the full names and then change those original documents to the full information. Not doing so now will make it even more difficult in the future for genealogists and historians to figure out exactly who these "abbreviated" people are. 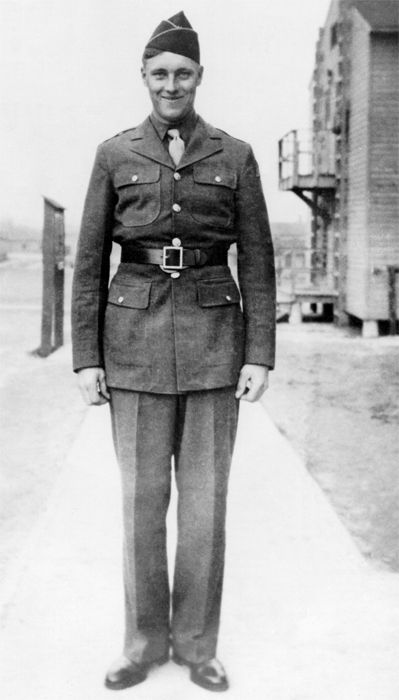 I have 1 picture of Ernest in uniform. 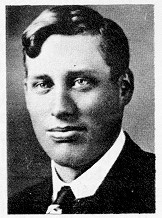 In the 1981 Centennial book write-up about Ernest it mentions him as the son of E.C. Nissen and exactly what I was mentioning under the Musfeldt feature above. It is situations like this that take me extra time to figure out what the initials stand for and which family is connected. 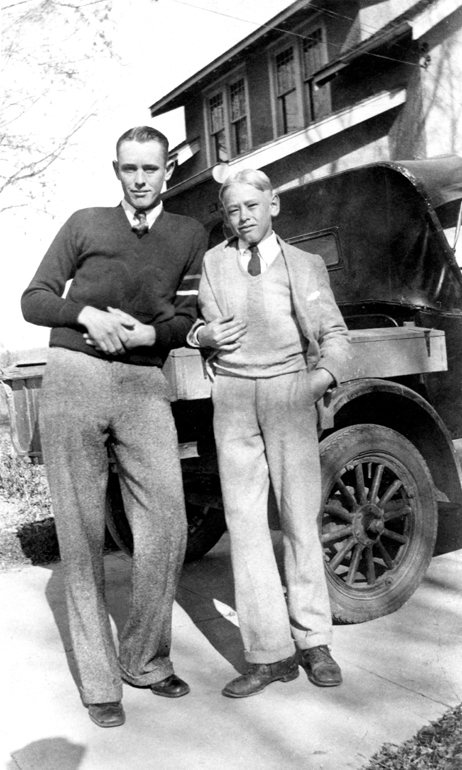 If you are older than me or are related to Ernest you may say to yourself, "why I know who E.C. is" but it doesn't help me if you don't contact me and tell me. So then I have to read through obituaries, look in the Manning Cemetery records, hope there is something written in the 1981 Centennial books, or I have to call someone which all takes me a lot of extra time. So to give you and idea of what I have do to "Sherlok Holmes" many of the pictures I work with, here are some pictures of Nissens that I know the names and connections but will intentionally leave that information off for now. 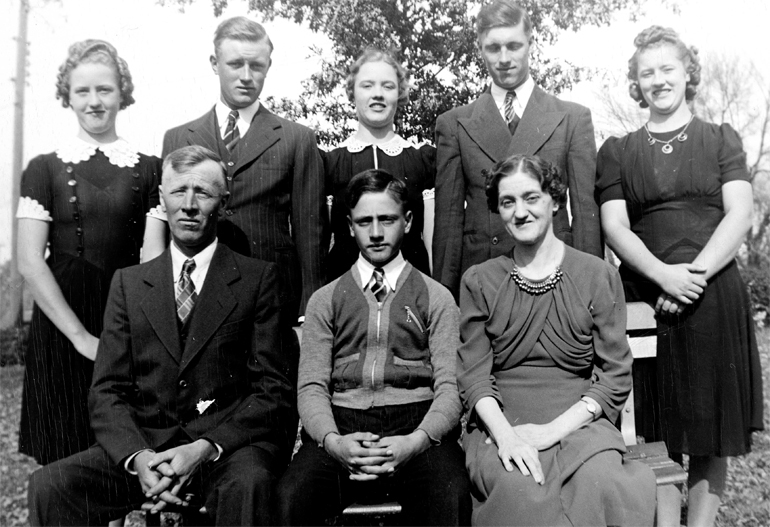 See if you can figure out who they are and their family connections. 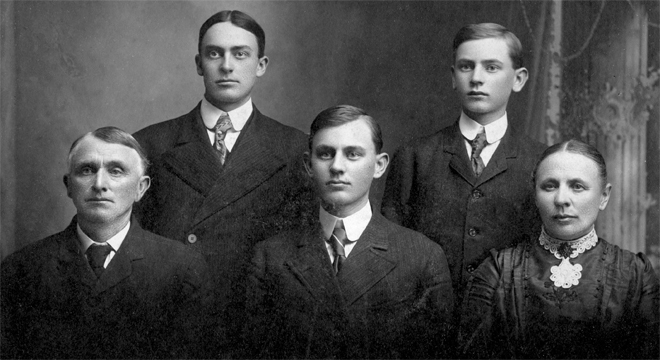 These pictures came from various sources, and not all were Nissen family members. 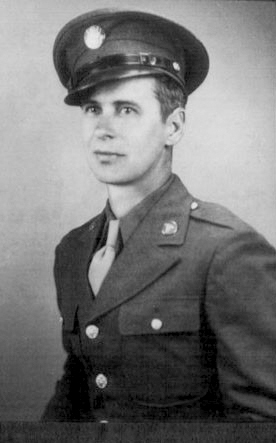 Leroy was the son of Pete & Cora (Weavers) Paulsen. He married Viola Davidson and they had one son. I have no idea if or how these Paulsens shown below are connected to Leroy but all I can do is show them with some information and hope some family member will see them and come forward. Ann's Lunch - Bev Nielsen with her mother Bernice (Paulsen) Nielsen. This was the annual pancake day that Bud McMahon put on. Goochs Feed company provided the "Goochs" pancake batter. 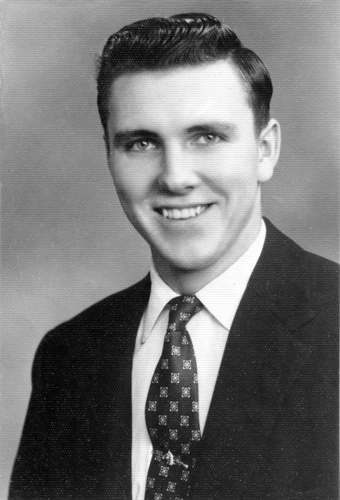 Bud McMahon's wife was Elsie (Paulsen) and was related somehow to Ted Paulsen. 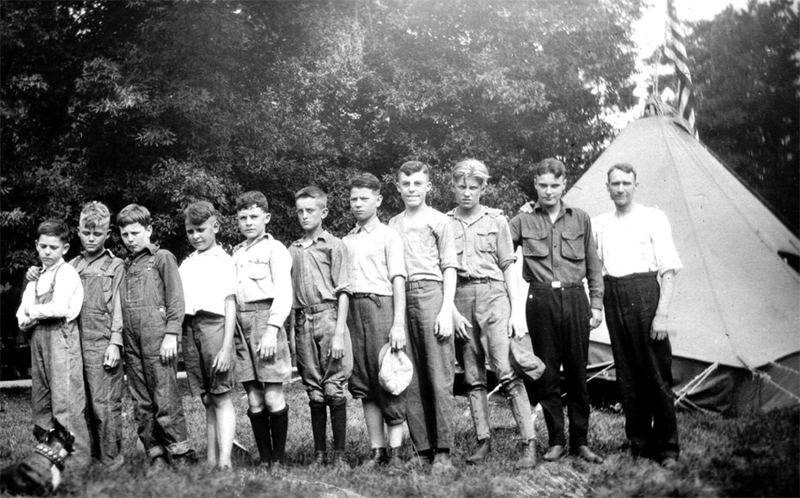 These could be all, or mostly, or no other Manning boys - nothing is known about this picture. 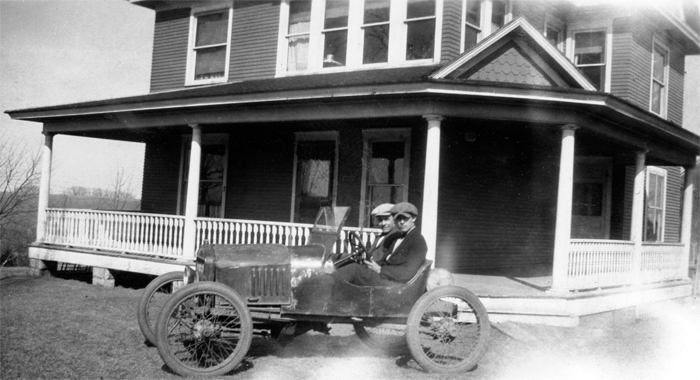 Lee Rocksien driver with Clarence "Pat" Emmons in front of 400 N East Street. Does anyone know which Stoelk this was??? 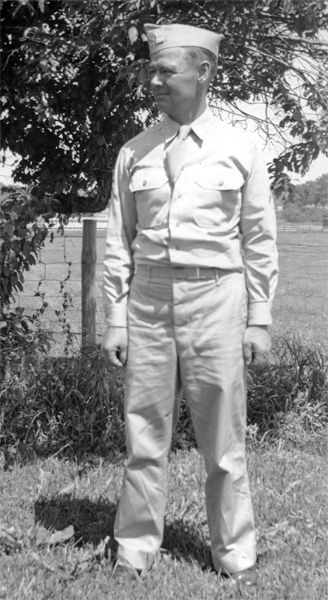 Erwin Stoelk, 1951I don't have the exact Stoelk family connection to Leon but Erwin is also a Kusel descendant. 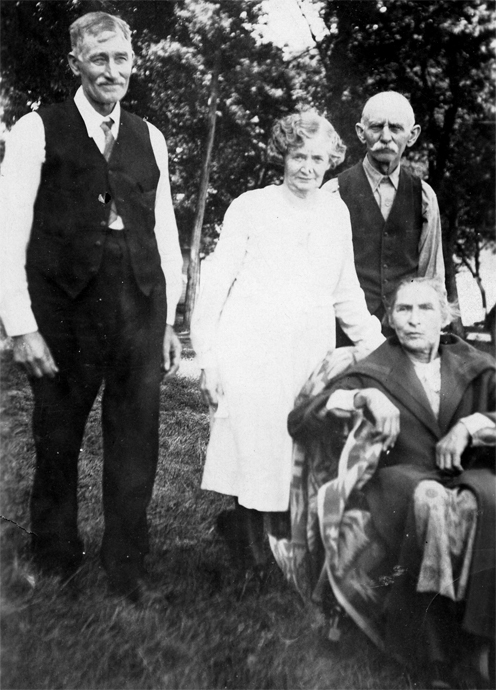 Erwin's parents were Lawren & Ida (Hansen) Stoelk and his maternal grandparents were August & Emma (Kusel) Hansen. 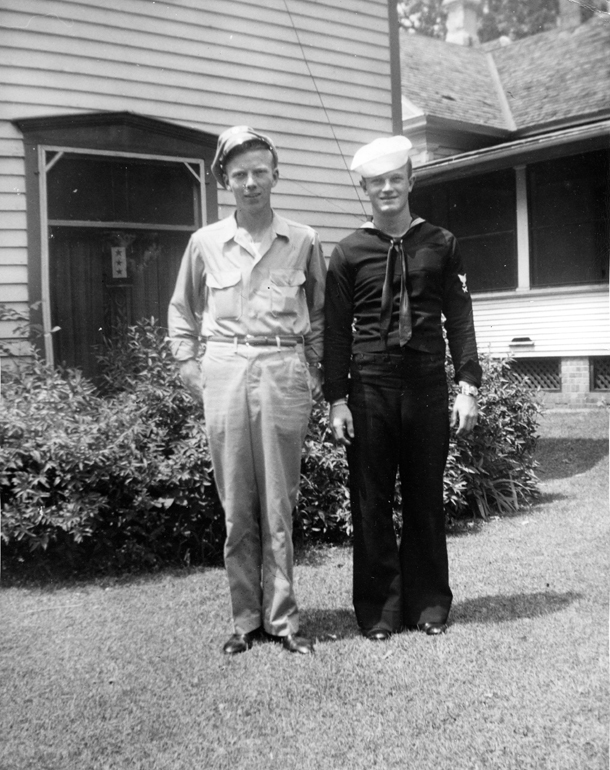 I list this connection to show how important it is for Veterans and their families to include some family background so the reader will know if/how the Veteran is related to the citizens of the Manning area. 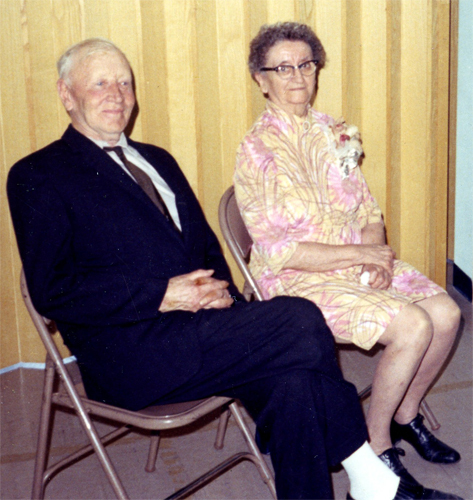 Albert Stoelk & Ann Paulsen in the Zion Lutheran fellowship hall. 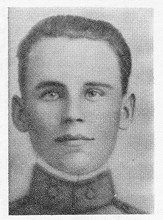 Lawren was a brother to Albert Stoelk featured in the family picture above. 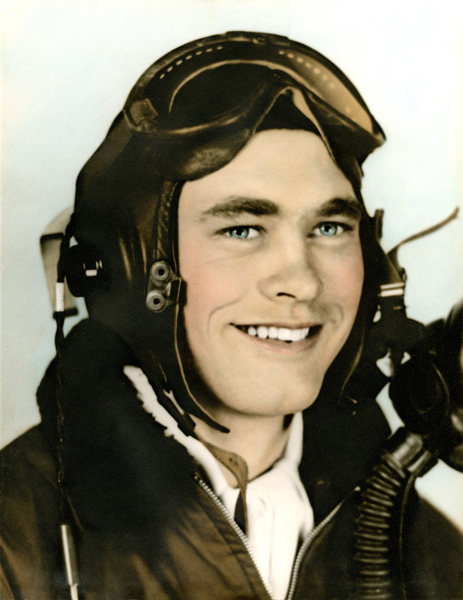 Killed in a Liberator Bomber that exploded on September 3, 1944, in a flight over Mount Illiamna in Alaska. 6 of the crew were able to parachute to safety but Gene went down with the plane. 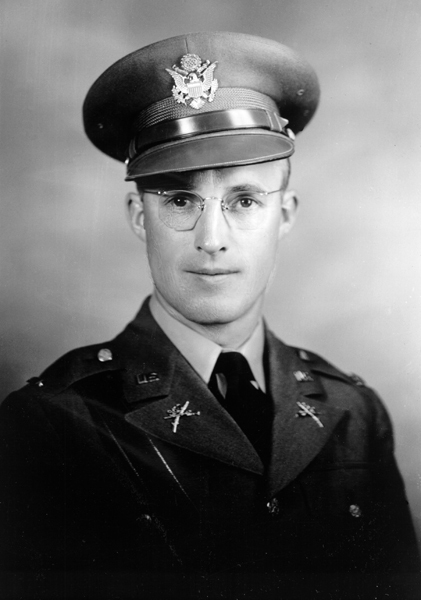 His body was later recovered and he is buried at Anchorage, Alaska. In 2007 I was contacted by the niece of Gene who thought they had had letters, other pictures, and other things about Gene but I never heard back from them. I tried her e-mail address but it no longer works. I shared a few pictures with them I had of Gene in the hopes that would encourage them to return the favor. To the hundreds of others who have contacted me in the past - maybe looking for information and pictures I may have for someone in your family - have you promised you would look for and send me pictures and information you have??? If you haven't fulfilled that promise maybe you could do so now. You can always find my e-mail address on my web page but more than likely you have changed your e-mail address which leaves me completely left out in the dark as how to reach you. 1947 Lola Ress, sister of Hugo, Jr.
1952 Zita Ress, sister of Hugo, Jr.
April 1952 Don Horbach and Benny Ress, brother of Hugo, Jr.
Melissa Eschenbacher and Janice Ress - Janice is a cousin of Hugo, Jr.
Now you may think to yourself that I have a lot of pictures of the Veterans. BUT this is only one part of the equation...Then I have to get family background and the military information to go along with the pictures. This is very difficult to do if no family members come forward and help me. 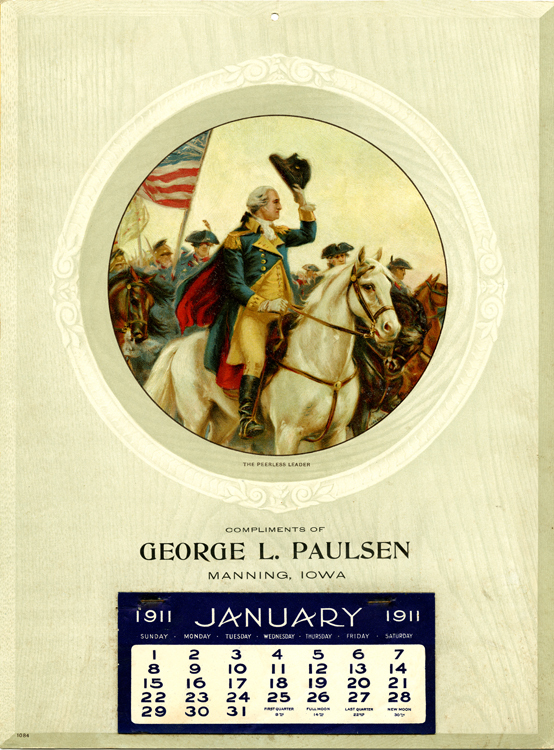 The Manning Veterans' history book is not just a book about those Veterans who served in action or overseas. 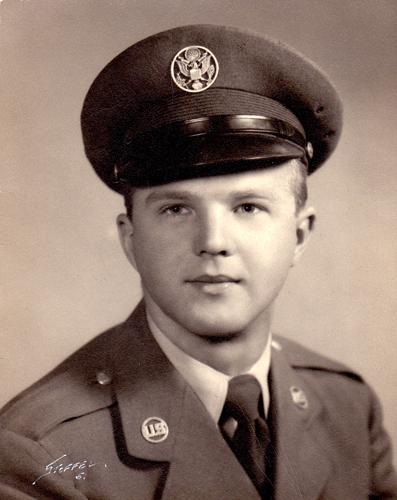 If you are/were connected to the Manning area and served in any branch of the military, National Guard, etc we want your story and pictures...BUT it probably won't happen if those living Veterans don't come forward or the relatives of Veterans who have passed away don't come forward. 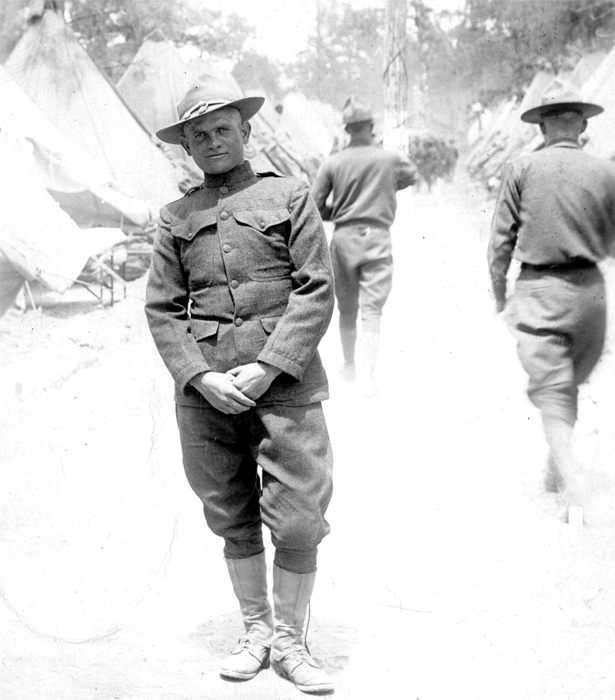 I have tried nearly every possible way to encourage Veterans to submit their stories. I will continue to do so for the time being but eventually I'll have to set a deadline. 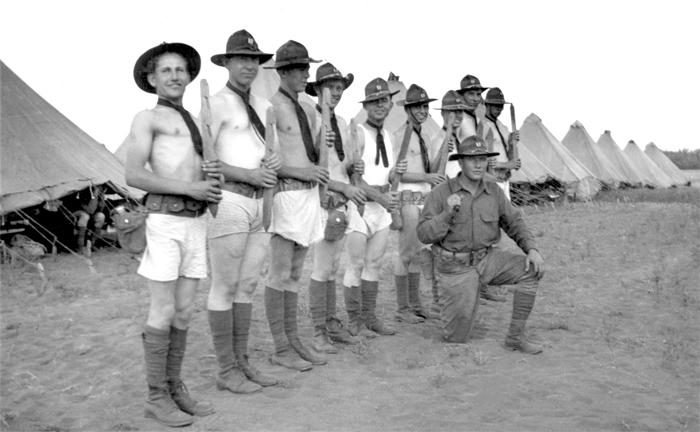 Once that happens you'll no longer be able to become part of a very unique community military history book. 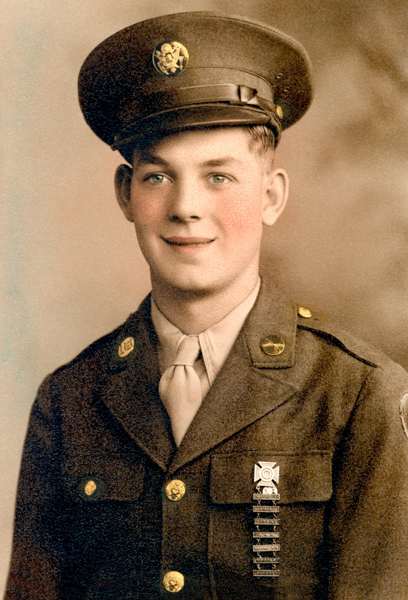 Please don't delay any longer and start digging out those pictures and writing down your military story.